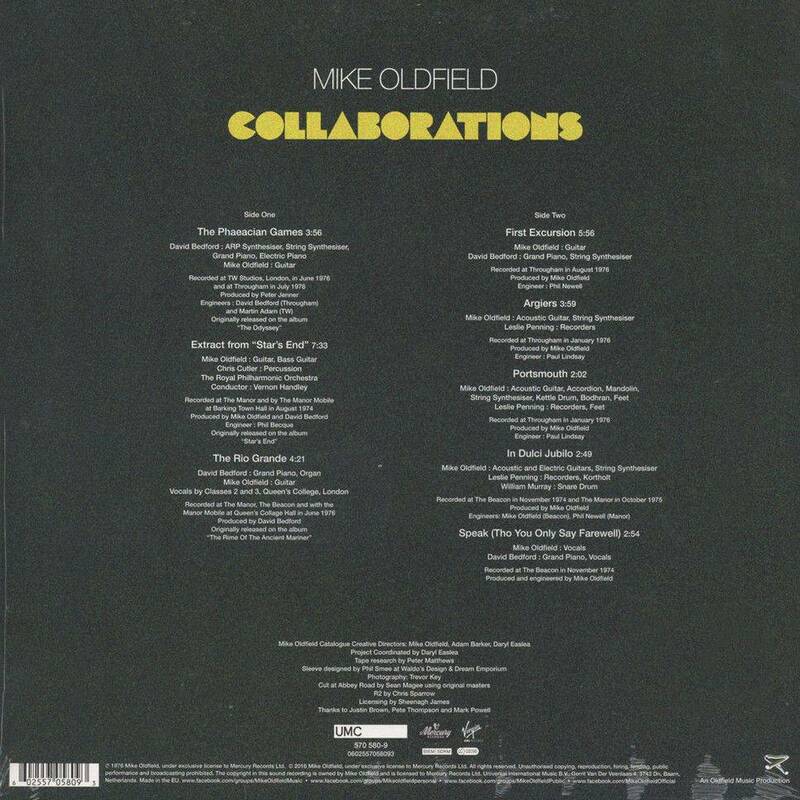 2016 EU reissue on 180g LP+download=A missing pieces in the Mike Oldfield 70s vinyl jigsaw – COLLABORATIONS, available for the first time on its own, having previously been available only as part of his 1976 collection, Boxed. This album marks the closure of Mike Oldfield’s first phase as a solo recording artist and a celebration of the start of the second. The original vinyl album have been mastered on 180gm discs by Sean Magee at Abbey Road using the original masters.